Some time ago Weburbanist did a fantastic article entitled 7 Submerged Wonders of the World, highlighting an astounding selection of underwater cities, monuments and statues. Here’s one with a twist! 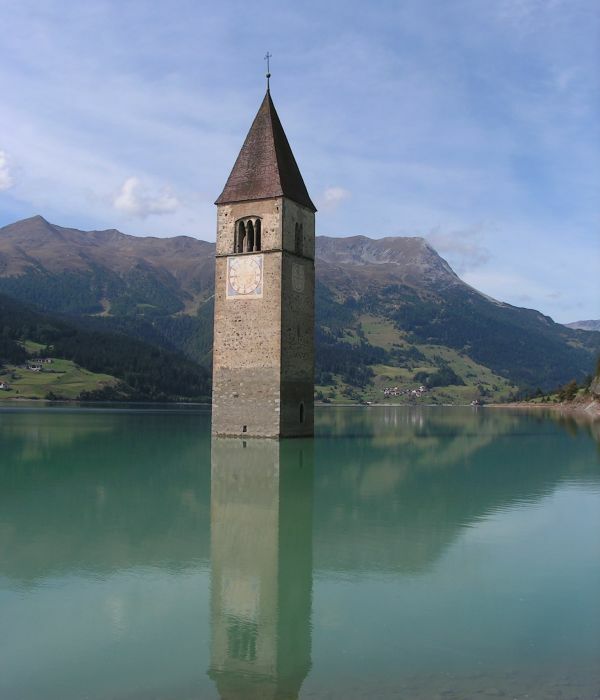 This semi-submerged bell tower is all that can be seen of the church at Curon Venosta, a small Northern Italian town flooded to make way for an artificial lake.